The Seward Public Library was first organized as a reading room in 1888. In 1913, despite a tornado which tore through the town, the reading room was reorganized as a city library and was housed in a new building made possible through local donations and a grant from Andrew Carnegie. Major renovations took place in the late 1960s and in the mid 1980s. 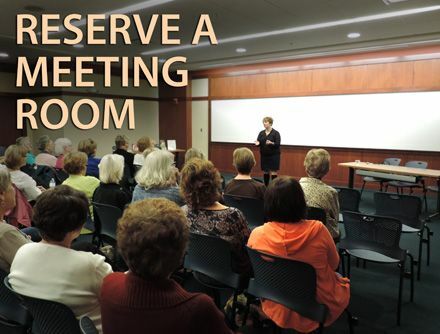 In 1990 the Seward Library Foundation was formed to raise money for a new library building and on September 2, 2003, the new Seward Memorial Library opened its doors to the public. 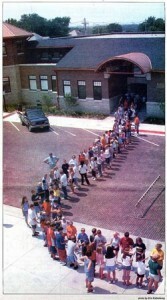 The photo to the right shows Seward Middle School students passing books from the old library building to the new in August of 2003. 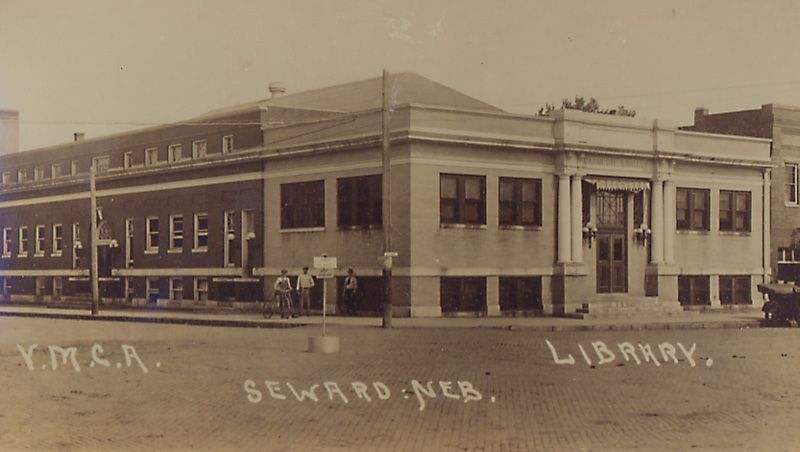 Pictured to the left is an historic postcard of the Seward Public Library and YMCA building in 1915. The library is located at 233 South 5th Street in Seward, Nebraska. Click here for a map. 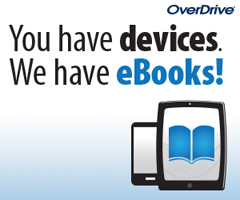 Most library materials are loaned out for a four-week period. Cake pans and books with long waiting lists are loaned out for a two-week period. Chilton auto repair manuals are loaned out for a three day period. 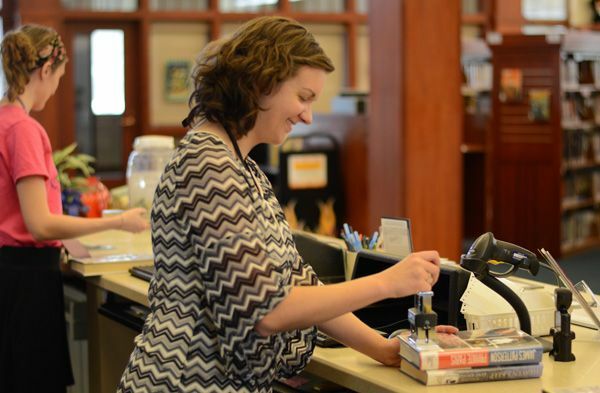 Regular library patrons may check out up to 50 items on their library card. 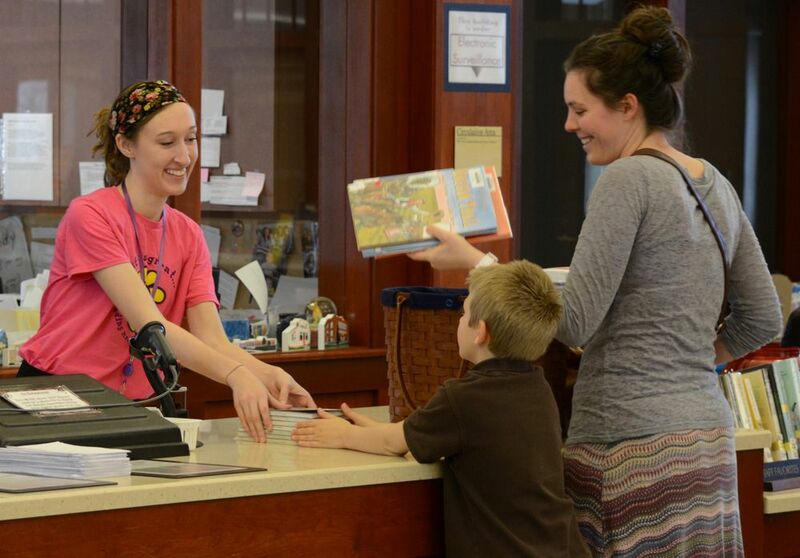 NebrasKard patrons may check out up to 25 items on their account. Items may be renewed up to three times if no one else has placed a hold to reserve them. You may renew items in person or over the phone. The due date will be stamped on the back of the item. 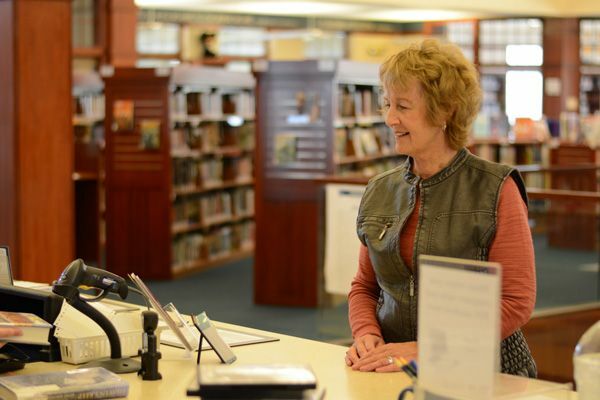 Library cards are free to all citizens residing within the city limits of Seward, Nebraska and to all non-residents who own property within the city limits. Courtesy cards are available to patrons 65 and over. 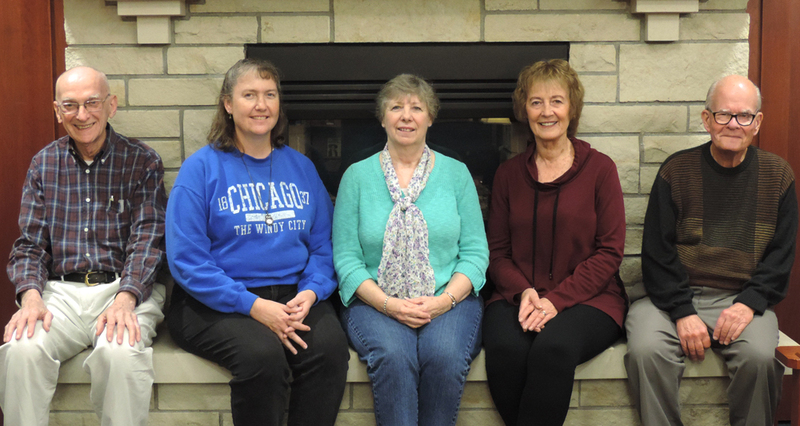 Citizens living outside of the Seward city limits may purchase a library membership for $25.00 per year or $15.00 for six months. The card is valid from the date of payment. For more complete information please see the Policies page. 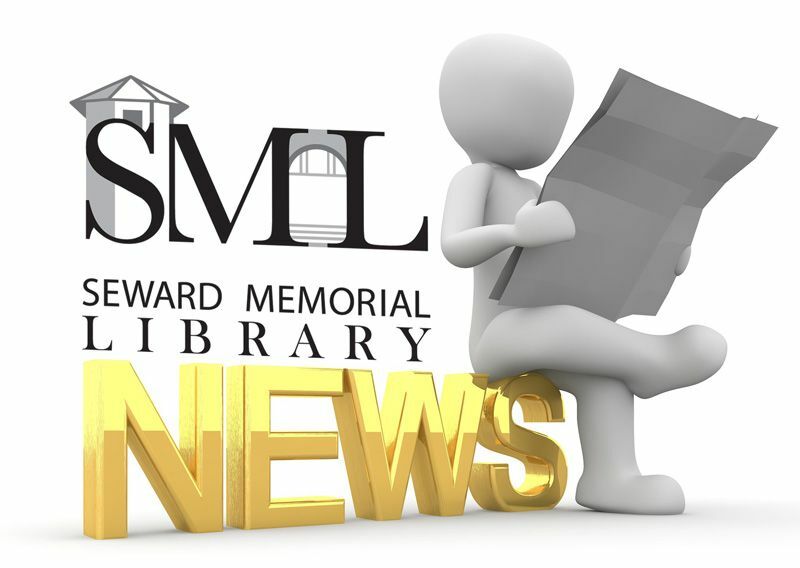 Monthly library newsletters are posted to the website before the beginning of the new month. Sign up to receive a link to the newsletter delivered to your email. The Seward Memorial Library Annual Report is presented to the City Council in February of each year.